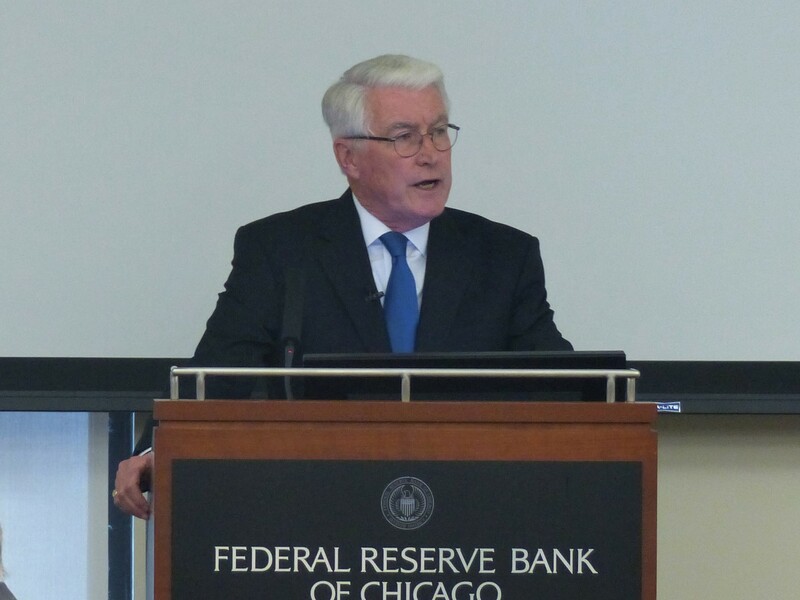 The Civic Federation co-hosted a conference with the Federal Reserve Bank of Chicago on April 17, 2018 entitled, “Navigating Pension Reform: What Lies Ahead?” Experts, practitioners and academics from around the country gathered to examine the options available to the State of Illinois as it attempts to address its ongoing pension crisis. 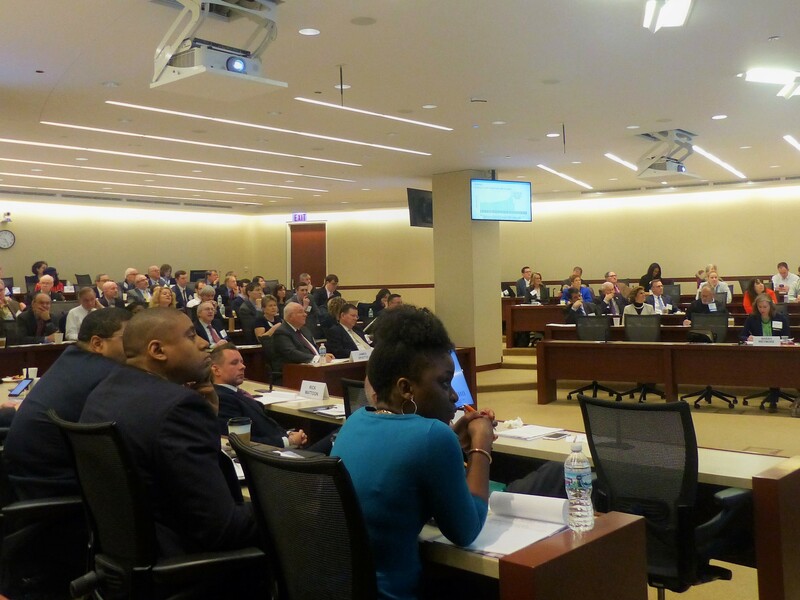 Attendees to the sold out conference included government, civic, business and labor leaders. 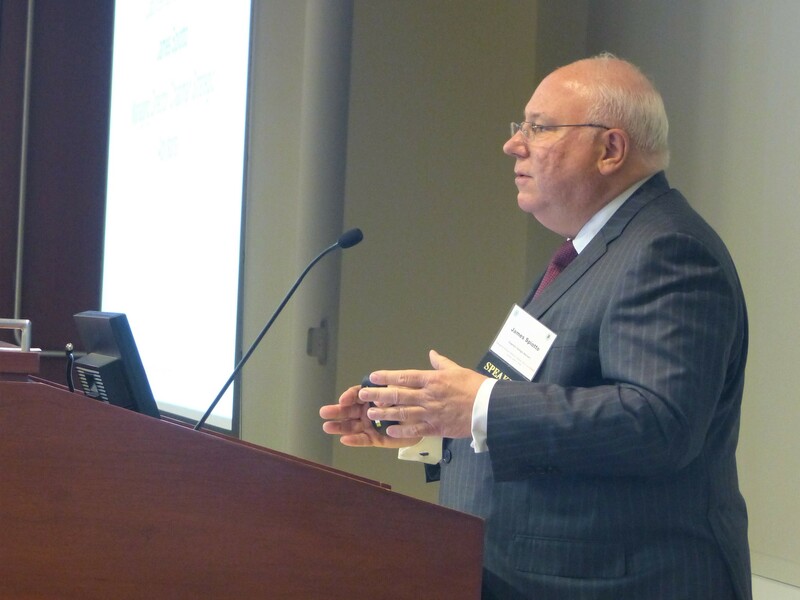 Lew Collens, President and Professor of Law Emeritus, Illinois Institute of Technology, announced the new Kearney Center for Public Pensions at the Civic Federation. Mr. Collens is the Chairman of the new initiative, funded by a generous donation from Chicago civic and business leader Daniel P. Kearney. 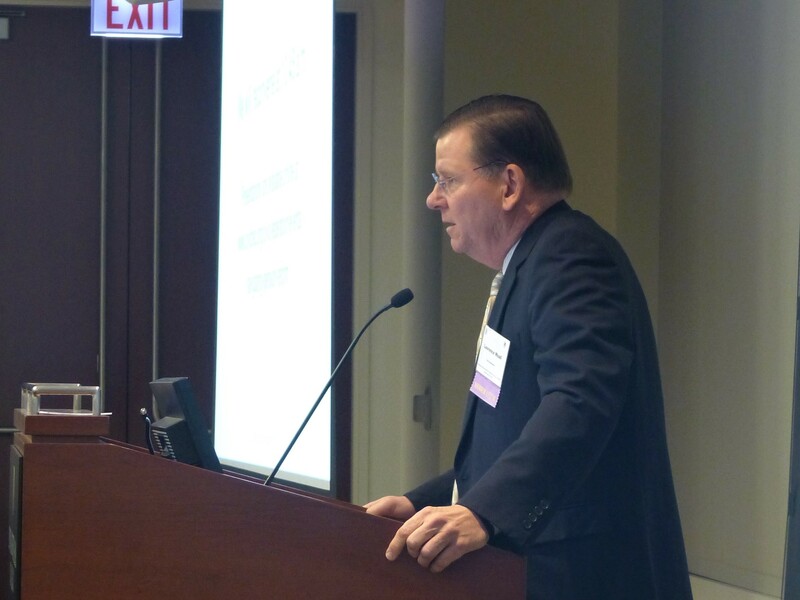 The Kearney Center was established to demonstrate and advance opportunities for public pension reform in Illinois. 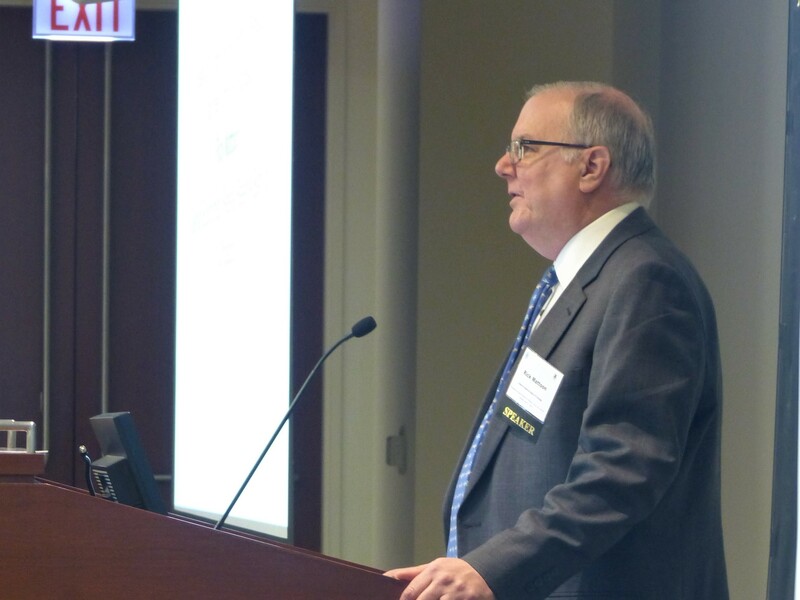 Mr. Collens then highlighted examples of the State of Illinois as well as municipalities from around the state experiencing financial distress due to significant unfunded pension obligations. 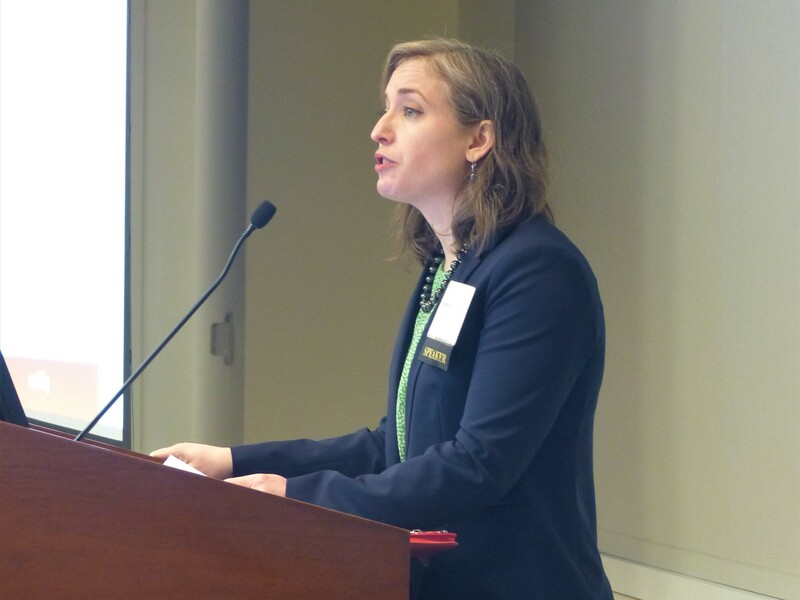 Sarah Wetmore, Vice President and Research Director of the Civic Federation provided attendees with a primer on public pensions in Illinois to prepare them to participate in the discussions ahead. 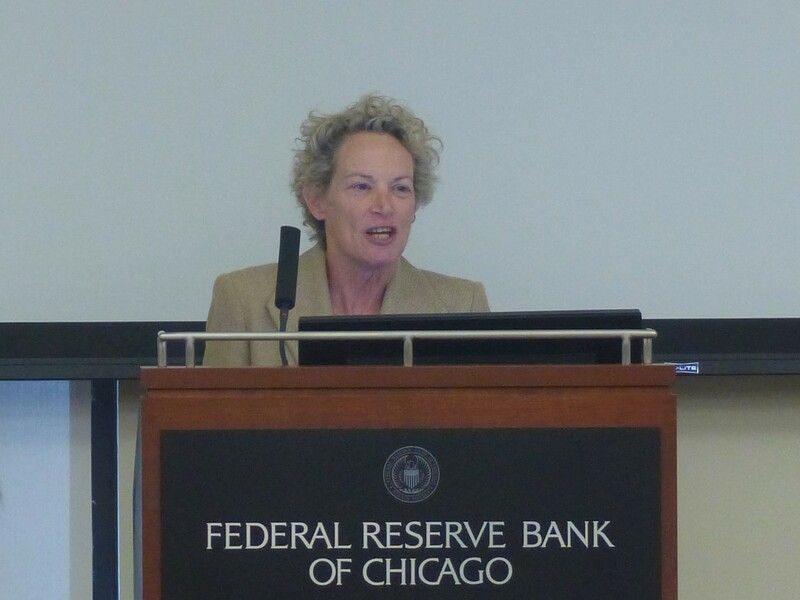 Ms. Wetmore reviewed pension terminology, the pension protection clause of the Illinois Constitution and the current poor funding status of nearly all of the largest state and local pension funds in Illinois. She also described pension reform initiatives from 2010 through the present, including the creation of a second tier of benefits for new state and local employees and the benefit and funding changes for state and local funds that were eventually struck down by the Illinois Supreme Court as unconstitutional. 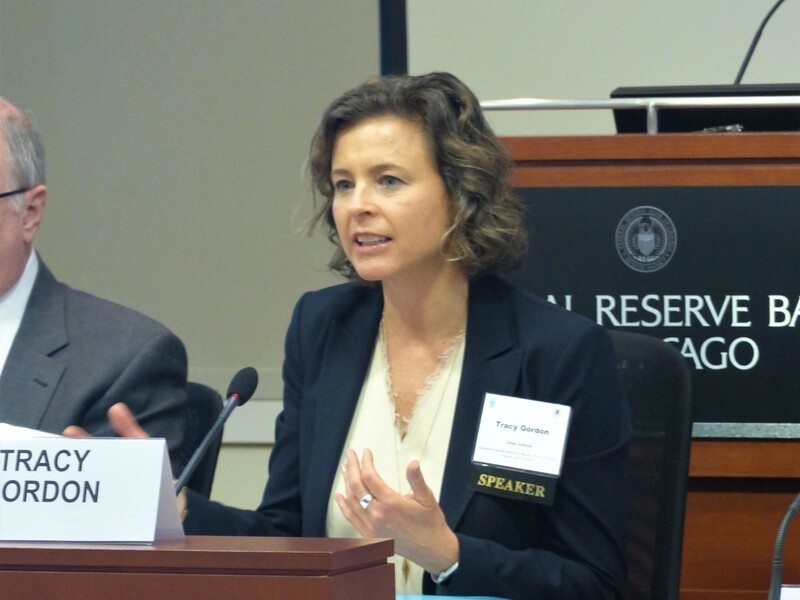 Civic Federation Board member and President of Epoch Advisors Lois Scott moderated a discussion of pension reform initiatives in other states. 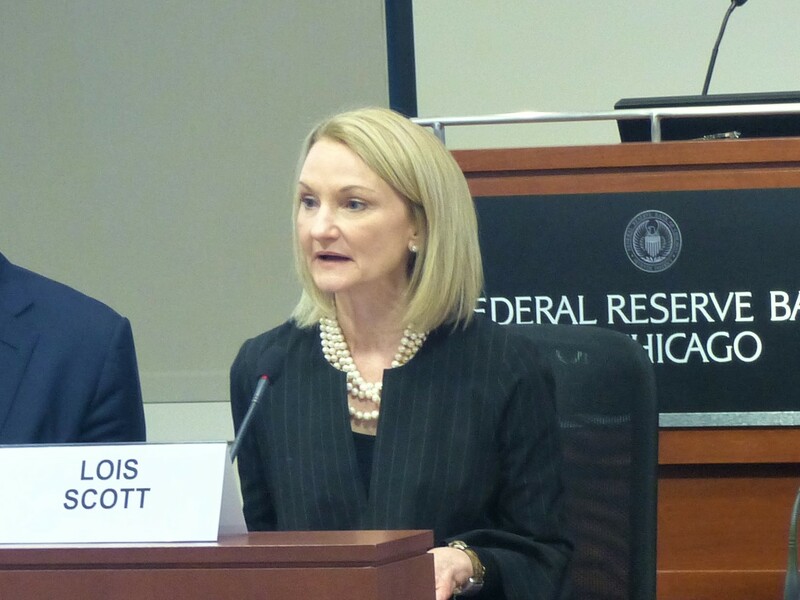 Ms. Scott highlighted how important it is for stakeholders to understand public pension issues because they so strongly impact the delivery of government services, from education to social programs. The Honorable Kasim Reed, former Mayor of the City of Atlanta, Georgia, stressed the need for strong leadership and clear and open communication with employees, retirees and residents as the lessons learned from the successful public pension reform efforts he spearheaded in Atlanta. 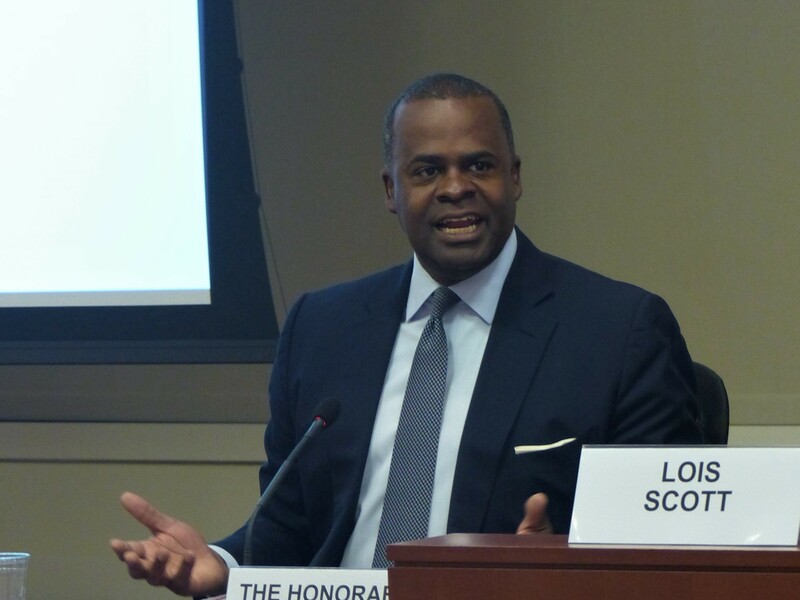 Mayor Reed also noted the positive fiscal impact of the pension reforms on Atlanta, including credit upgrades, but said that achieving such results required putting his political career on the line and trusting the voters would eventually understand the necessity. Bryan Jeffries, President of Professional Fire Fighters of Arizona, gave the history of how growing public safety pension obligations in that state were threatening municipalities’ ability to maintain staffing levels and provide salary increases to current public safety officers. He said this situation spurred his organization’s involvement in educating firefighters about pension issues and in helping develop and pass both reform legislation and an amendment to the Arizona Constitution that permitted the benefit reforms. Dr. Carol O’Cleireacain, former Deputy Mayor of the City of Detroit, Michigan, reviewed the decades of financial and demographic challenges that eventually tipped Detroit into bankruptcy in 2013 and how the city developed its plan to exit bankruptcy in 2014. She emphasized that while the resulting plan spread the financial pain roughly fairly among bondholders, taxpayers, residents and public servants and has set the city up for future success, it is important not to forget that there was a real human cost to the changes to pension and retiree health benefits for municipal and public safety employees and retirees. Session 2: What are the Options if Pension Liabilities Cannot be Changed? Civic Federation President Laurence Msall moderated a dialogue dedicated to looking at various proposals for how the State of Illinois should address its pension liabilities in the aftermath of two Illinois Supreme Court decisions ruling legislation implementing benefit changes for current employees and retirees was unconstitutional. 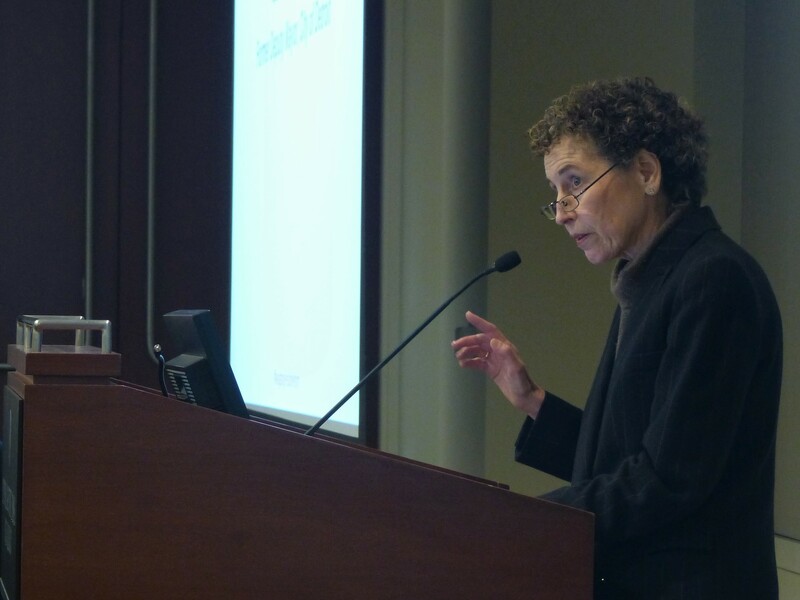 Dr. Tracy Gordon, Senior Fellow, Urban Institute, led off the discussion with a nationwide look at a measure of the gaps between states’ revenue capacity and expenditure need. Her study’s findings suggested different capacities for different types of revenue for Illinois in 2012, with only the sales tax and charges and fees showing additional capacity if the state needed additional resources for pensions. 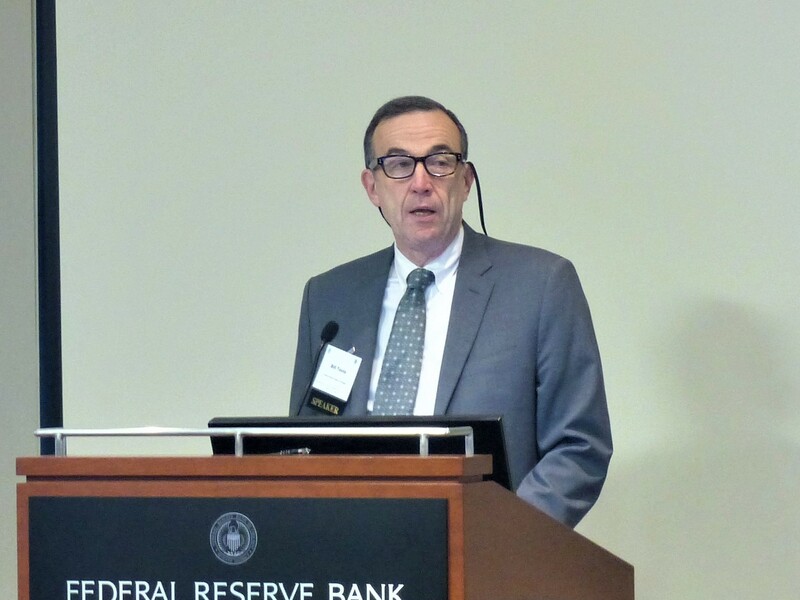 Dr. Rick Mattoon, Senior Economist, Federal Reserve Bank of Chicago, argued that from an economic perspective, an efficient way to pay off the unfunded liability while also being sure that current residents who benefitted from past underfunding cannot avoid helping pay for the liability would be through a statewide property tax dedicated solely to the pension liability. The reason is that higher property taxes are capitalized into lower property values that reflect the higher future taxes a property buyer would need to pay. Dr. Mattoon recognized that such a proposal would be politically and practically difficult to implement, but said it would also have the advantages of transparency and intergenerational equity. 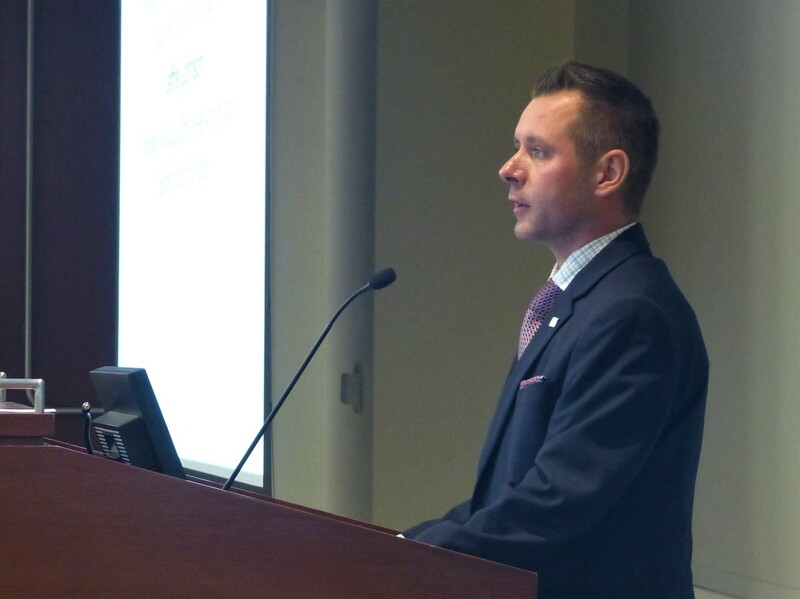 Eric Madiar, Principal, Madiar Government Relations, presented the consideration model for pension reform proposed by Illinois Senate President John Cullerton, which he said is constitutional because it offers current employees a choice. The choice would be between keeping their current three percent compounded automatic annual annuity increase, but having their future salary increases not be pensionable or accepting a reduced automatic annual increase when they retire and having their future salary increases be pensionable, along with receiving other incentives. 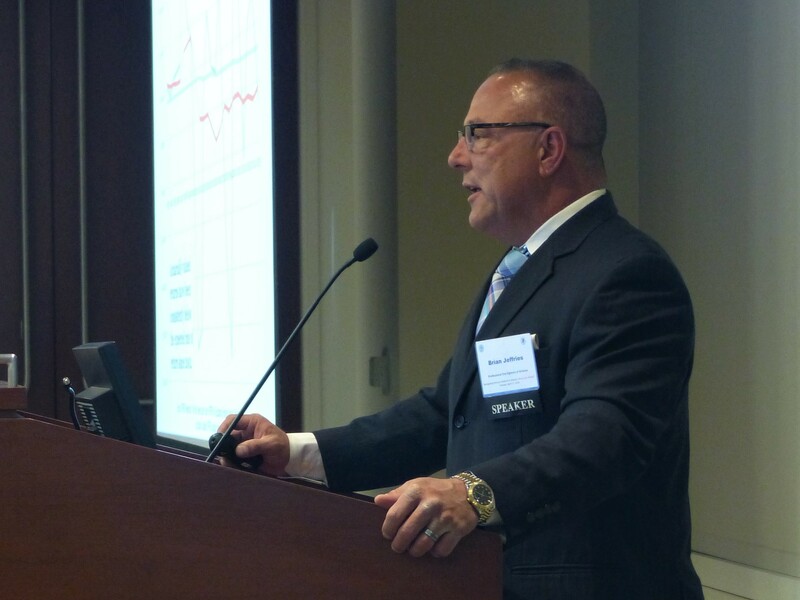 James Spiotto, Managing Director, Chapman Strategic Advisors, examined several paths governments facing overwhelming pension liabilities could take, including Chapter 9 bankruptcy, a state quasi-judicial body that would provide technical assistance and mediation or amending the Illinois Constitution to limit the scope of the pension protection clause. He then outlined what such an amendment might look like and how it might work. 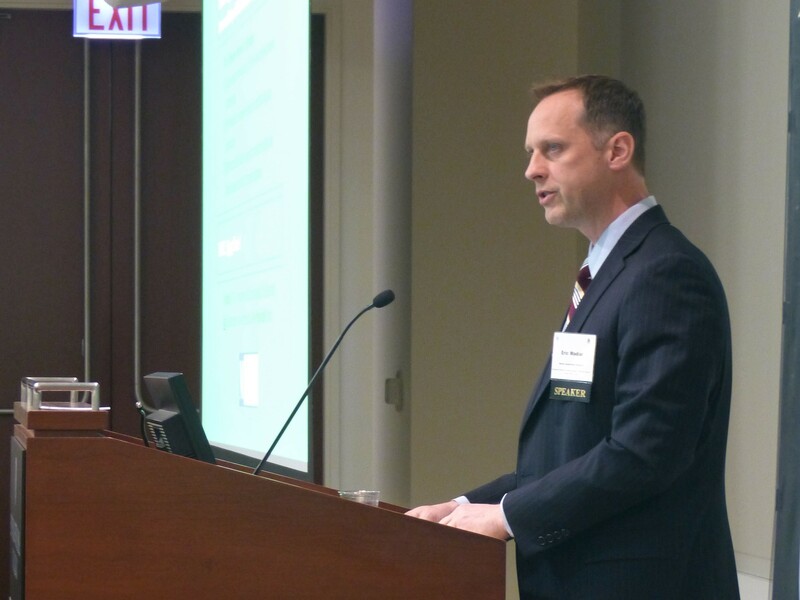 Jeffrey Johnson, President, Municipal Employees’ Annuity and Benefit Fund of Chicago, provided the perspective of municipal employees on pension reform. He said that city employees have told him they would have been willing to pay more toward their pensions in a spirit of shared sacrifice, but they also believe that the governments have a moral obligation to pay pension benefits and they therefore do not support measures that would reduce them such as the consideration model or amending the constitution. 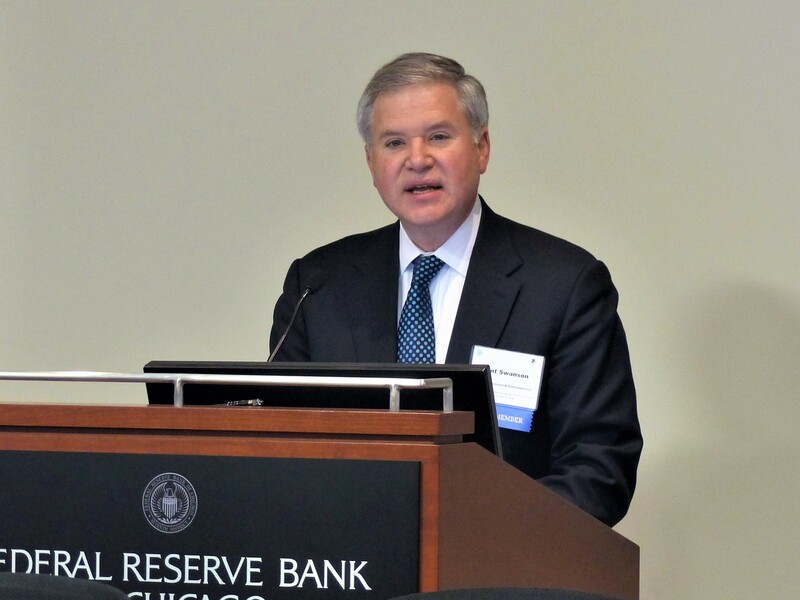 He referenced research showing a positive economic impact from public pensions and underscored the need for a long-term plan to deal with the unfunded liabilities. 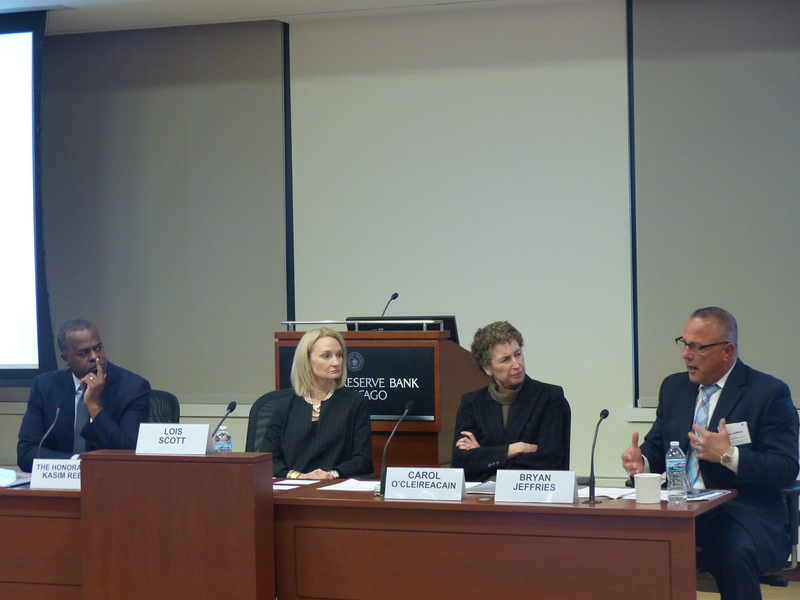 Keynote Panel: Rough Seas Ahead: What are the Obstacles to Resolving the Pension Crisis? 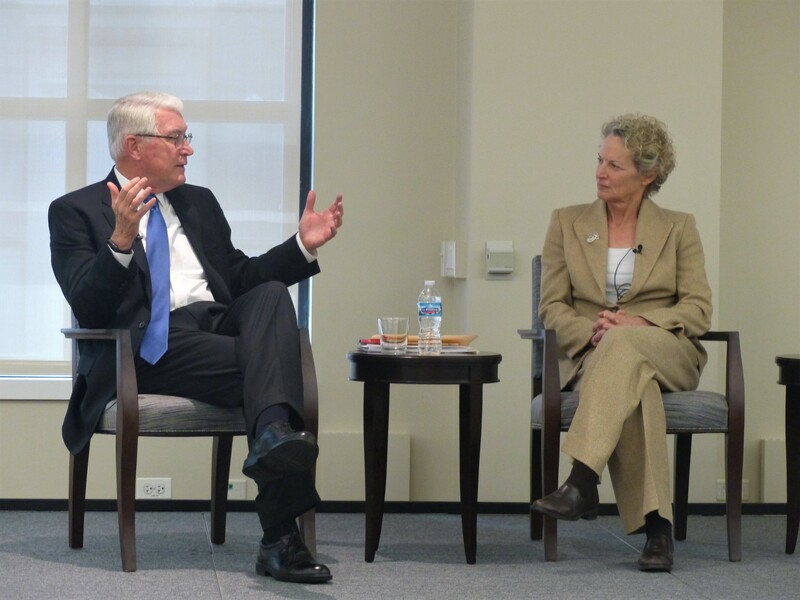 Two former Illinois elected officials, Governor Jim Edgar and State Representative Elaine Nekritz gave attendees their candid views of the political aspects of the pension crisis and how it might be resolved. Kearney Center Chairman Lew Collens led a wide-ranging and lively discussion between the two speakers and the attendees, touching on the decades-long history of pension underfunding in Illinois, the State’s habitual bad practices of skipping payments and pushing off obligations to the future, the reasoning behind the pension benefit reform push of 2012-2013, as well as the partisan and geographical divides in the state and its ongoing political chaos. While each believes in the state’s underlying economic and infrastructural strengths, both Governor Edgar and Representative Nekritz emphasized the need for leadership in order for the state to move forward and end the pension and fiscal crisis. 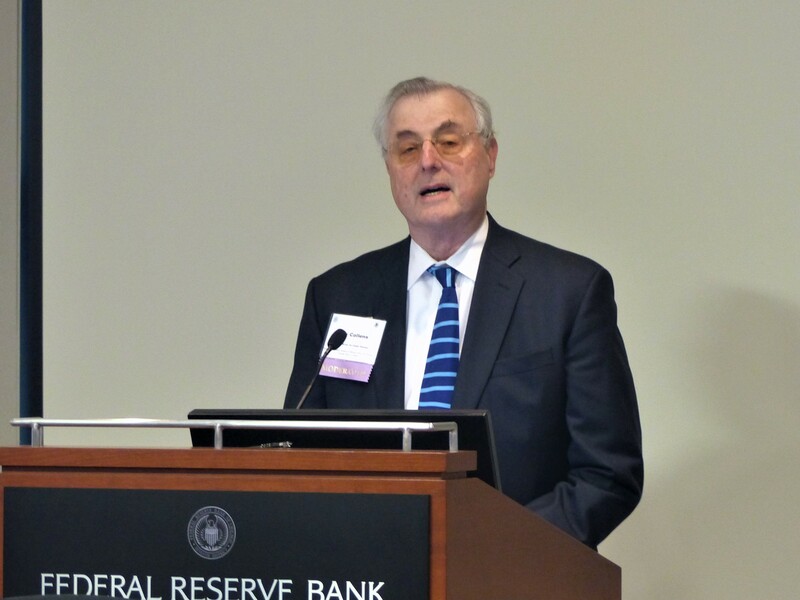 Federal Reserve Bank of Chicago Vice President Bill Testa welcoming guests to the forum. Civic Federation Chairman and Riverside Investment & Development Executive Vice President Kent Swanson introducing the Kearney Center for Public Pensions. Kearney Center Chairman and President and Professor of Law Emeritus, Illinois Institute of Technology, Lew Collens discusses the goals of the Kearney Center. Lois Scott moderating Session I: Pension Reform in other States. Mayor Kasim Reed presenting during Session I.
Bryan Jeffries presenting during Session I.
Dr. Carol O’Cleireacain presenting during Session I.
Laurence Msall moderating Session II: What are the Options if Pension Liabilities Cannot be Changed? Tracy Gordon presenting during Session II. Rick Mattoon presenting during Session II. Eric Madiar presenting during Session II. James Spiotto presenting during Session II. Jeffrey Johnson presenting during Session II. 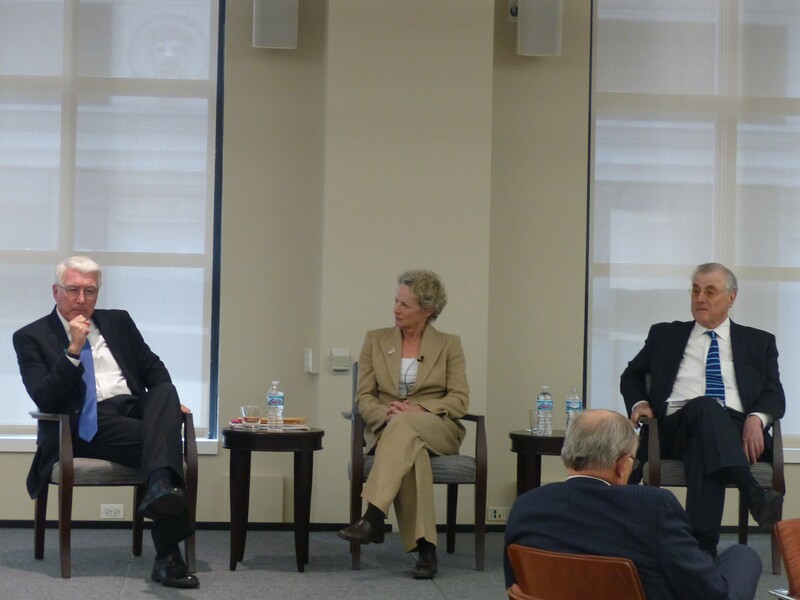 Keynote Panel (L to R): Former Governor Jim Edgar, Former Illinois State Representative Elaine Nekritz and Lew Collens. Former Governor Jim Edgar speaking during the keynote panel. Former Illinois State Representative Elaine Nektriz speaking during the keynote panel. Former Governor Jim Edgar and Former Illinois State Representative Elaine Nekritz discussing pension reform during the keynote panel. 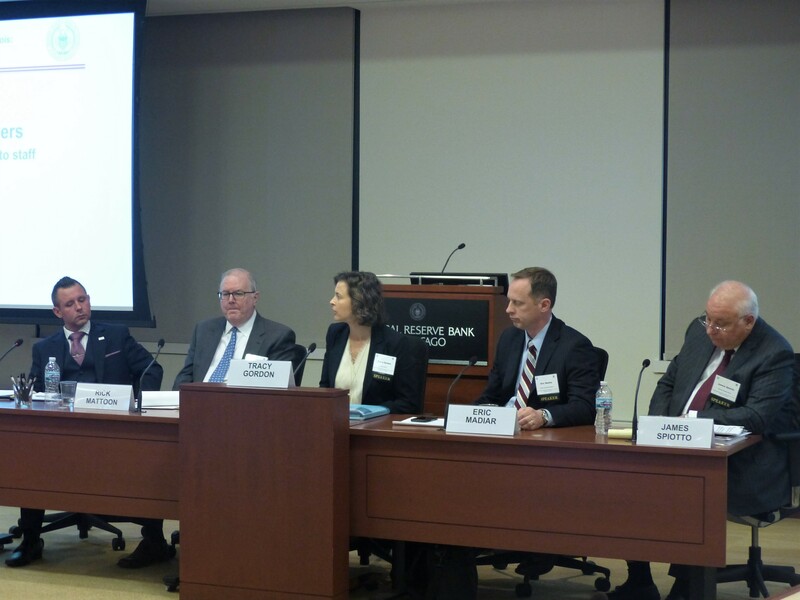 Guests at the “Navigating Pension Reform in Illinois: What Lies Ahead?” forum.